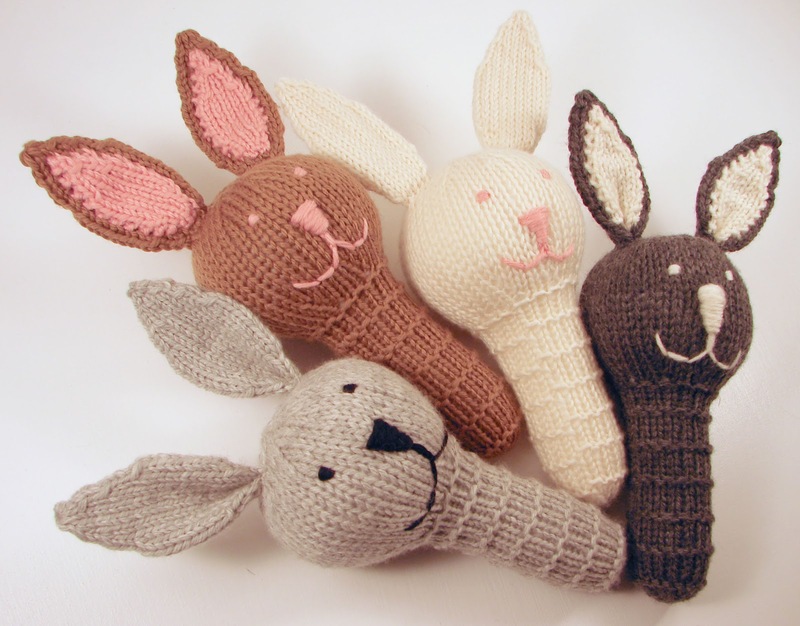 I've finally finished editing my pattern for the Bunny Rattles. I thought it would be a lot quicker than it actually was, since the body is the same as one of the options on the Monster Rattles. However, I ended up having to knit several of them for pictures and to show different ear options. I accidentally ended up with for ear options! I really like it when things are customizable. All the editing also took longer than I thought, it seems that there's always one more thing to fix or adjust. And this was the simplest pattern that I have in the works! Now I'm diving back into working on the Farm Hand Puppets. I also still have the pattern for Little Red Riding Kitty on the back burner. Hopefully those will both get finished before school starts!